We believe bodywork is essential to living a vibrant and healthful life. Rejuvenate your body and soul with one of our three quintessential massages to choose from or elevate your experience with one of our Signature Body Treatments. All of our quintessential massages will be enhanced with one of our three house blends of medical-grade organic aromatherapy integrated into an organic shea body butter to instantly transcend your mind and body into decompression, relaxation and vitality. You will be invited for a private consultation with your therapist. With years of expertise and training, our expert massage therapists will listen to your body, speech, and mind to custom tailor a session for you on your day of service. This wonderful treatment is for anyone seeking overall relaxation and relief of muscle tension. This treatment is soothing and will relax the entire body while easing both mental and physical stress. Your therapist will focus on the outer muscle layers and will use long flowing and rhythmic strokes. This is a perfect session for people who are new to massage and for those who are seeking a more nurturing massage session. 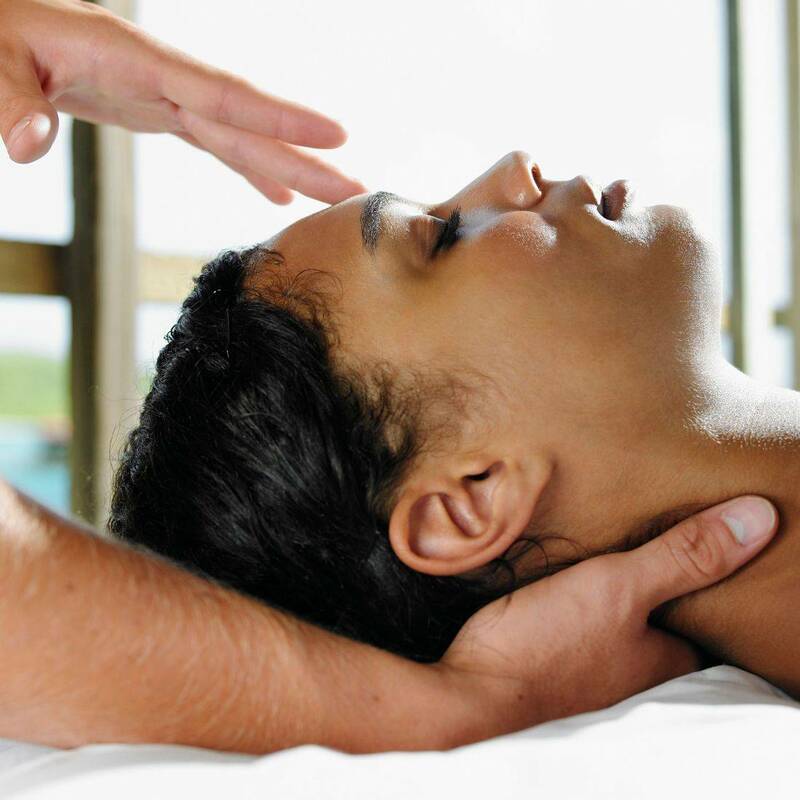 Experience a range of therapeutic bodywork crafted for you and your body. Melt away stress with this curative, moderate-pressured session. Created to alleviate specific aches and pains, this restorative massage gives you special focus on your areas of discomfort and renovates your sense of well-being. Go further with this deep tissue massage. Feel the complexity of muscle as your expert massage therapist focuses on the deepest layers of muscle tissue, tendons and fascia (the protective layer surrounding muscles, bones and joints). By releasing tension, strain, and pain, you can encourage body awareness and openness. These signature body treatments have been specially crafted with the collaboration of our expert massage therapists. Through their years of experience and on-going education, they have formulated these targeted sessions that bring a sense of balance and well being to all. Whether you are an elite athlete putting in countless hours of training, or you are new to your sport, this targeted sports massage is a great way to assist with achieving your fitness goals. This powerful sports massage helps you to obtain your optimal performance by integrating a blend of potent CO2 extracts of Arnica and Immortelle (Helichrysum), and organic essential oils of Lavender, Marjoram and Clove, full of components that penetrate deeply and assist you with your warm ups, recovery, general maintenance and injury prevention. With your muscles in the proper condition and balance, and your mind in a positive and exhilarated state, you are ready to conquer the world – or at least your opponent. Our new Cannabis-Infused Spa Ritual is crafted to enhance the therapeutic benefits of massage and feature new products by CBD Clinics. Massage creams are blended with Cannabinoids (CBD) and combine with FDA-approved active ingredients. This revolutionary pain relief is formulated with natural emollients to help active analgesic compounds penetrate deep to quickly increase blood flow to joints and muscles and interrupt pain signaling to help relieve pain, inflammation and tension. CBD is one of over 60 compounds found in the cannabis plant and is widely known for its ability to effectively assist the body in pain management and calming anxiety. While all of our products and treatments will likely leave you feeling blissful, our CBD oils won’t get you “high”. The CBD in our oils originate from hemp and do not include any of the psychoactive components such as THC. This fun, unique AROMA BAR includes time with your spa therapist to craft the perfect massage experience. Starting with your choice of an upgraded body butter base, choose between our classic shea butter or one of our specialty body butters of macadamia nut or mango butter. These rich creams are full of skin quenching emollients and have unique textures and viscosities that will leave your skin smooth as silk. Your expert spa therapist will then help you pick a botanical booster to enhance your treatment with added antioxidants and therapeutic properties. During this whimsical and wildly aromatic experience, you will artfully craft the perfect combination of essential oils to balance your spirit and reflect your intentions. The healing potential of aromatherapy is quite powerful, and our array of the purest oils from Body Bliss aid in your relaxation goals, symptom relief, or can be just for fun. As a remembrance of your exquisite spa visit, you will take home the remainder of your richly indulgent body butter, which you have created yourself, and walk away with a new appreciation for the intoxicatingly magical world of botanicals. Do you love our classic massages but want to intensify the results? Add a few heated basalt river stones. This targeted treatment uses the hot stones to provide a warm, soothing massage to loosen and relieve sore muscles while increasing circulation. Ideal if you suffer from carpal tunnel syndrome, fibromyalgia or poor circulation. Give your sore muscles some extra tender, loving care. Enhance the therapeutic benefits of massage by adding CBD Clinics to your massage cream. Cannabinoids (CBD) combined with FDA-approved active ingredients creates revolutionary pain relief and is formulated with natural emollients to help active analgesic compounds penetrate deep to quickly increase blood flow to joints and muscles and interrupt pain signaling to help relieve pain, inflammation and tension. While all of our products and treatments will likely leave you feeling blissful, our CBD oils won’t get you “high”. The CBD in our oils originate from hemp and do not include any of the psychoactive components such as THC. This experience is pure bliss. This Argon oil is the beauty industries gold standard for healthy, smooth hair. First, the warm oil is applied to the scalp by sections, then the restorative hair masque is massaged in to ensure every strand is quenched with this nourishing treatment. After the masque has had enough time to penetrate deep into every follicle, a hot towel issued to remove the excess and further drive in the nutrients. The Signature Moroccan Finishing Oil is then placed on the ends of the hair for exceptional repair. We recommend the remaining product be left on for 2-3 hours post service to get the maximum results of this treatment. We all need a little extra love sometimes. This indulgent treatment puts the pamper into your already amazing experience. A rich body mask applied to the hands and feet. The hands and feet are then placed in heated mitts to cocoon them while the mask is penetrating over the course of your service. Moisture and antioxidants are delivered from the blend of organic coconut and shea butter. The reminanse of the mask is tenderly massaged into your hands, arms, feet and calves to transport you into a tranquil state all whilst leaving your extremities soft and supple. Long story short, 90 minute massage was worth it's weight in gold. I was tight and in need of some new year relaxation. Cindy* has magic hands! Jennifer was super helpful and attentive to my online inquiry and got my wife and I booked in for times that worked for us.